Members of the National Board of Review threw their support behind the dramatic film, The Post, awarding it Best Film, Best Actor (Tom Hanks), and Best Actress (Meryl Streep) wins. However, Steven Spielberg lost out to Lady Bird‘s Greta Gerwig in the Best Director category. 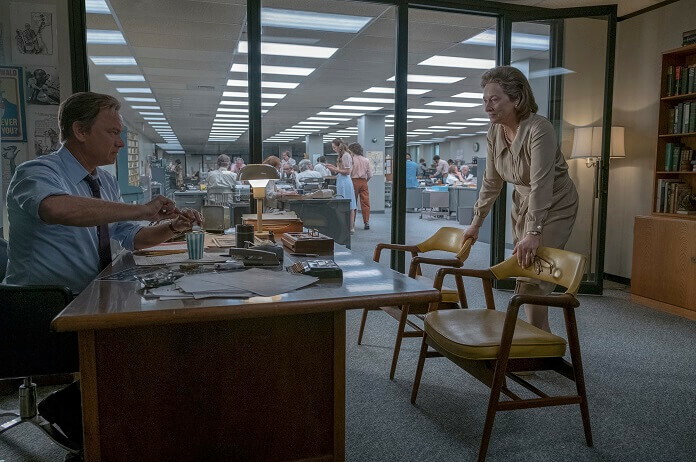 “The Post is a beautifully crafted film that deeply resonates at this moment in time. We are so thrilled to award it our best film as well as to honor the wonderfully talented Greta Gerwig as our Best Director,” stated NBR President Annie Schulhof. According to the National Board of Review, 265 films were screened by their membership which is made up of film enthusiasts, filmmakers, professionals, academics, and students. The NBR award winners will be recognized during an awards gala set for January 9, 2018 at Cipriani 42nd Street.